Schloss island is a lush 82 acre private island situated in Koprino Harbour, Quatsino Sound. 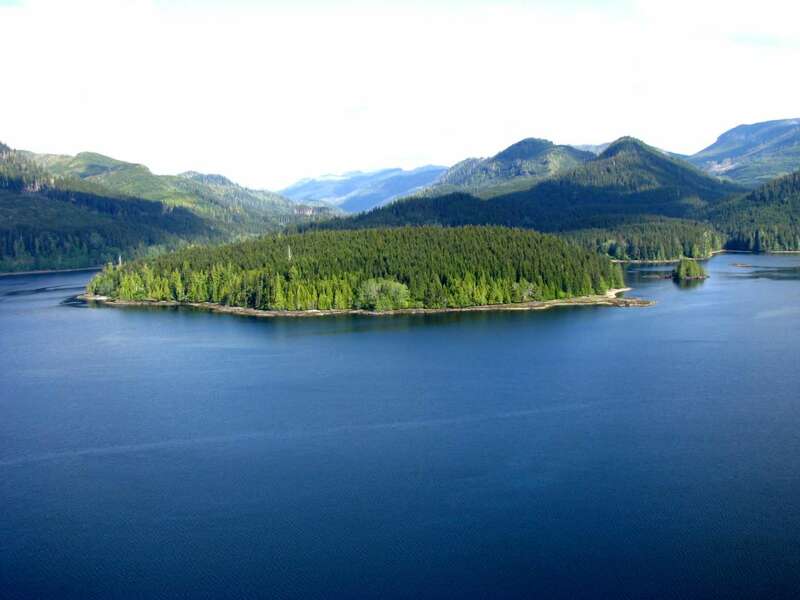 The Island is located only 7 miles from the Pacific ocean between Winter Harbour and the village of Quatsino. Popular for its sport fishing, this area is also home to an abundance of wildlife, such as; whales, salmon, tuna, sea otters and eagles. 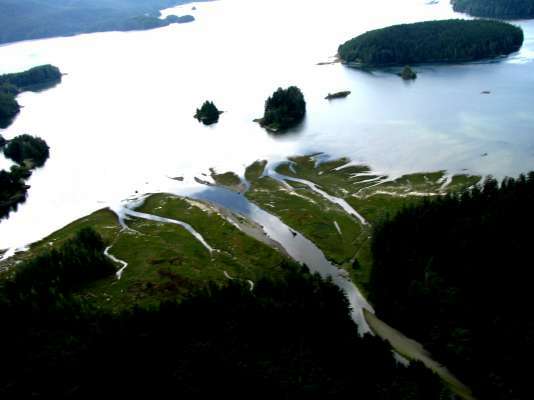 The island can be accessed by helicopter in 15 minutes from Port Hardy or Port McNeil, by boat or float plane. 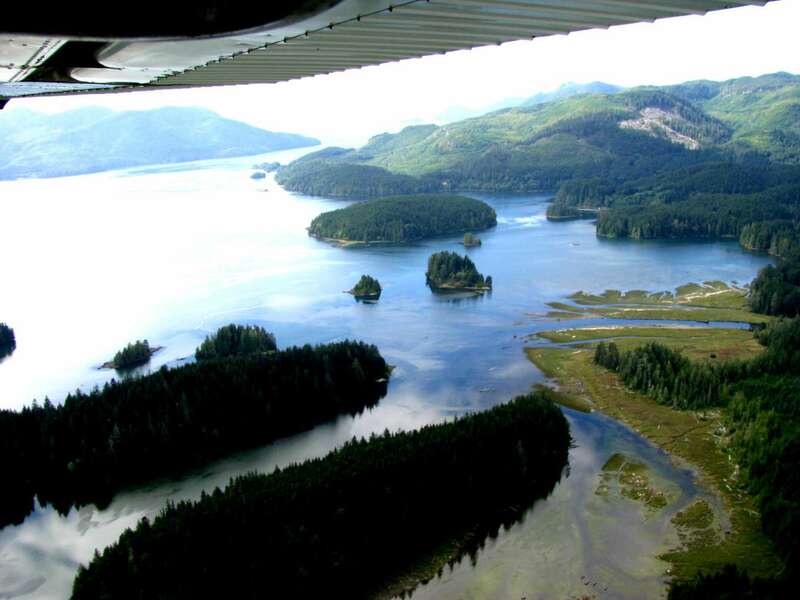 Both Port Hardy and Port McNeil have airports with direct flights to Vancouver. 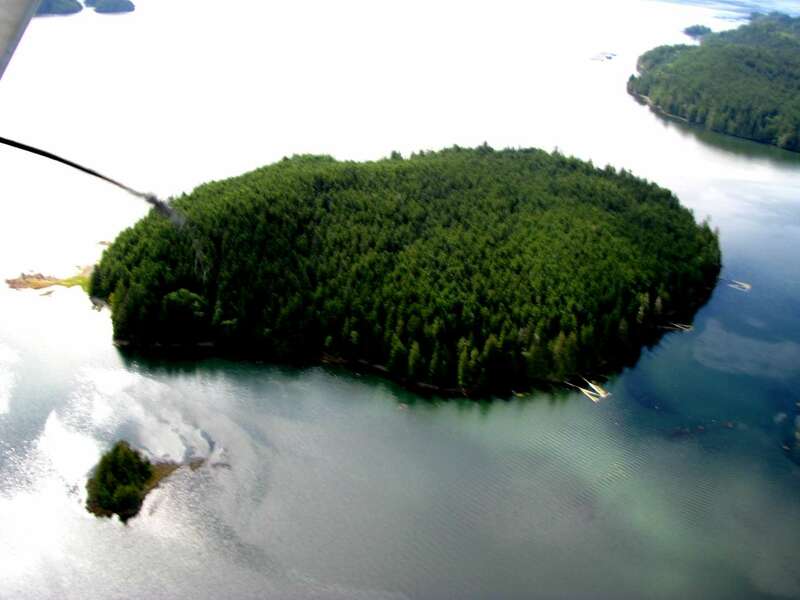 Access to the island is easy with a boat ramp and dock situated a mere 1000 yards from Schloss Island. 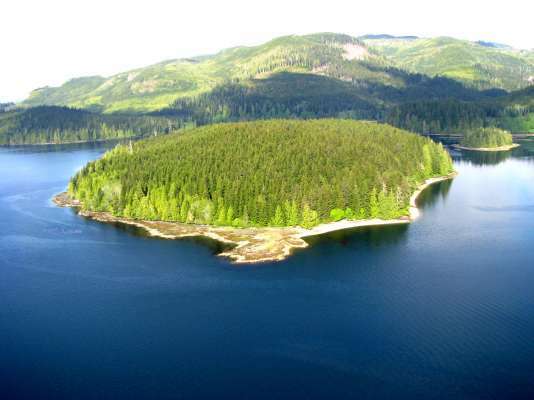 The highest point of the island is 200 feet high and suitable for building on. With 7100 feet of waterfront with low banks and beaches, Schloss Island offers a number of suitable locations for moorage. 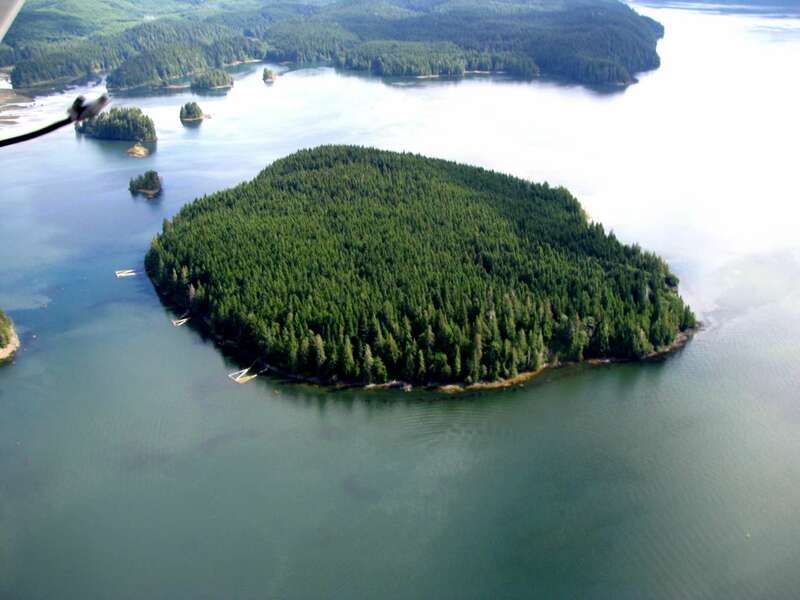 Schloss Island also features two fresh springs, 21,000 cubic meters of marketable timber and is zoned A-1 subdivide. 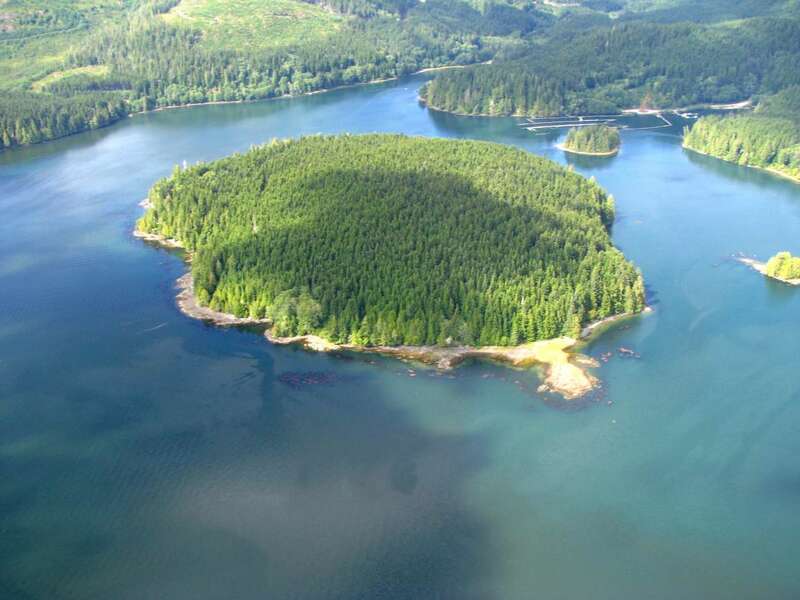 The island can also be kept as one single recreational estate. 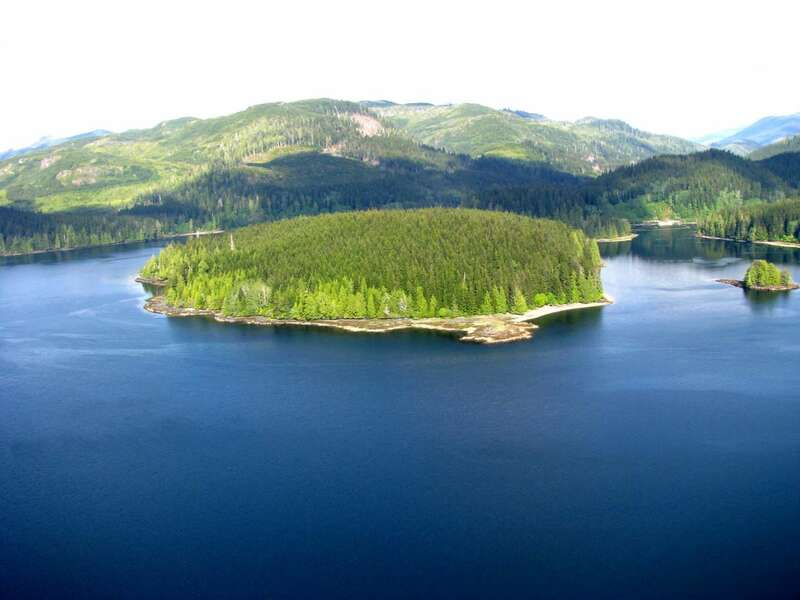 Schloss Island is protected from harsh winds within Koprino Harbour, and has low, sloping banks and beaches that are ideal for boat or plane ramps. 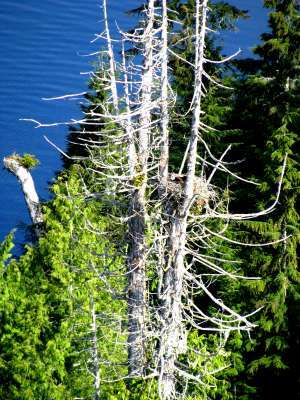 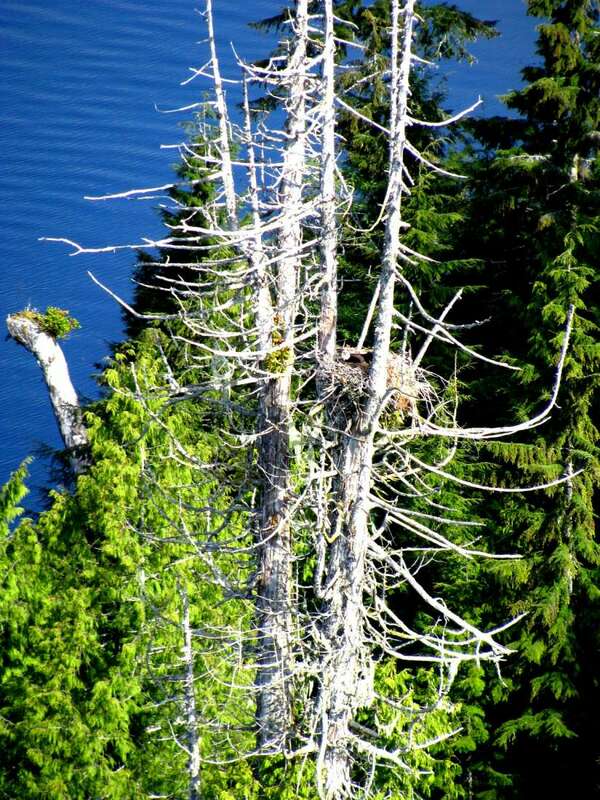 Its 82 acres are covered in a rich forest filled with hemlock trees, many of which are over a century old, and one currently hosts a nest of eagles that at times, one can see circling above the island. 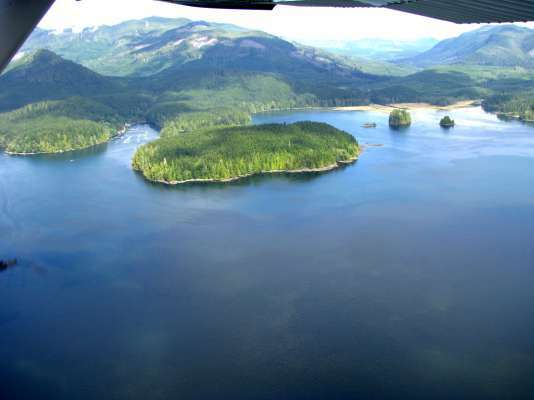 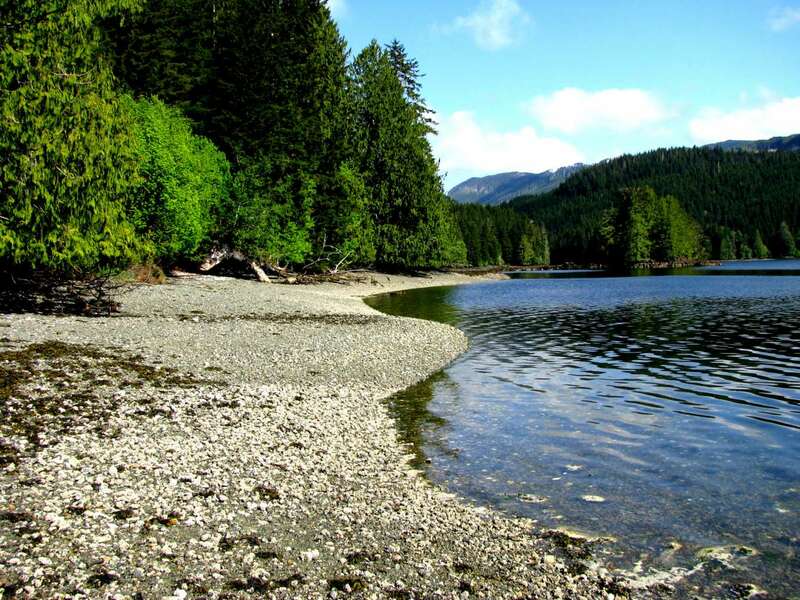 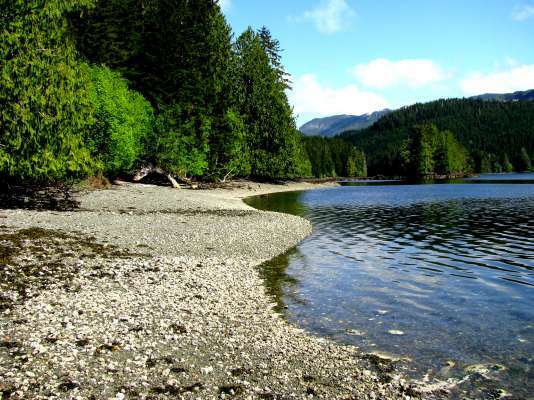 Two freshwater springs provide drinking water, – the island’s environment is a pure and untouched part of BC wilderness. 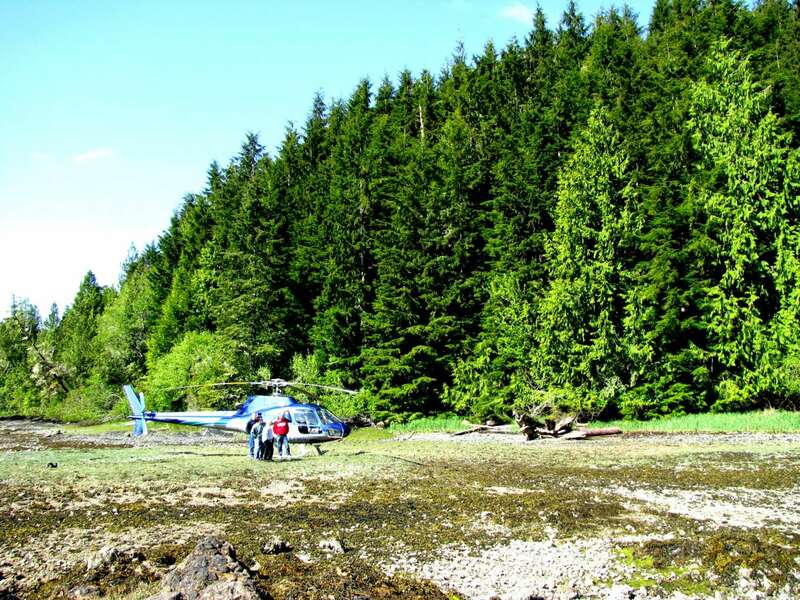 Dinner will never be a problem - offshore, you will find incredible fishing for salmon, halibut and tuna, and when the tides sweep out to expose broad beaches, there is prawning and clam digging and Dungeness crab. There are a variety of possibilities for Schloss Island’s use and development, each taking advantage of its unique location and abundant nature. 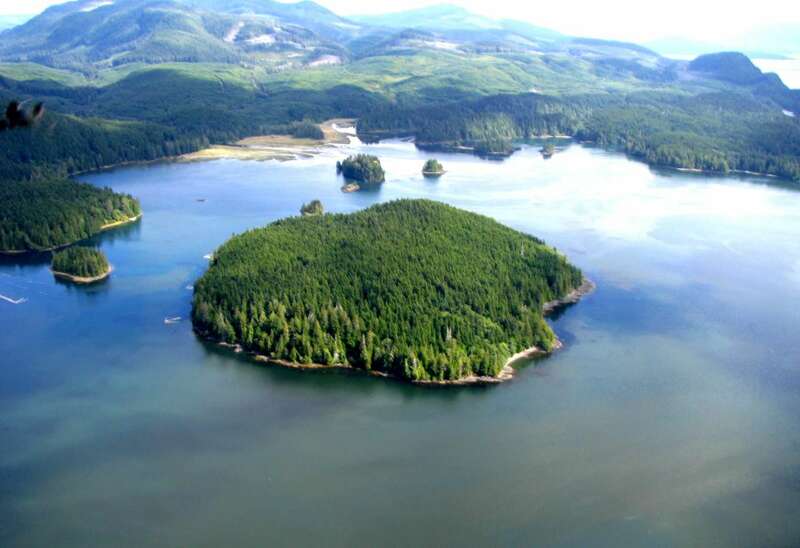 Already zoned A-1 sub dividable, the island can be parceled into individual plots for the construction of individual residences – with more than 80 acres, the island could host numerous subdivisions while retaining a secluded and private feel for each resident. 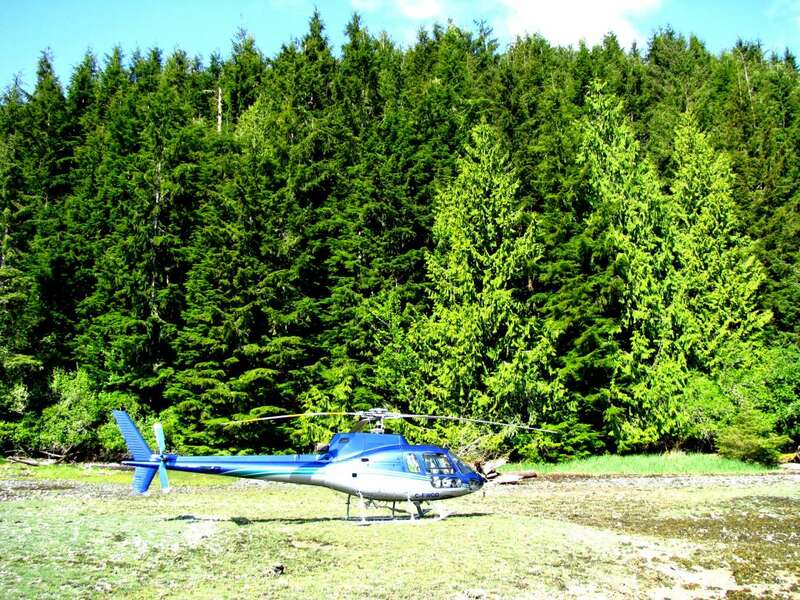 Kept as a private holiday retreat, it would be an incredible luxury and very convenient for residents of Vancouver or Seattle. 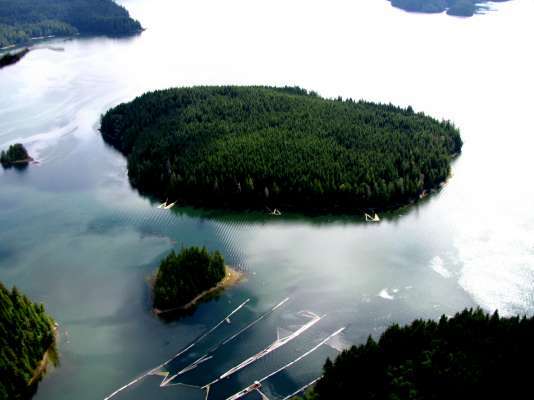 The excellent fishing and scenic environment would also lend itself well to development as a fishing lodge or rustic eco-resort. 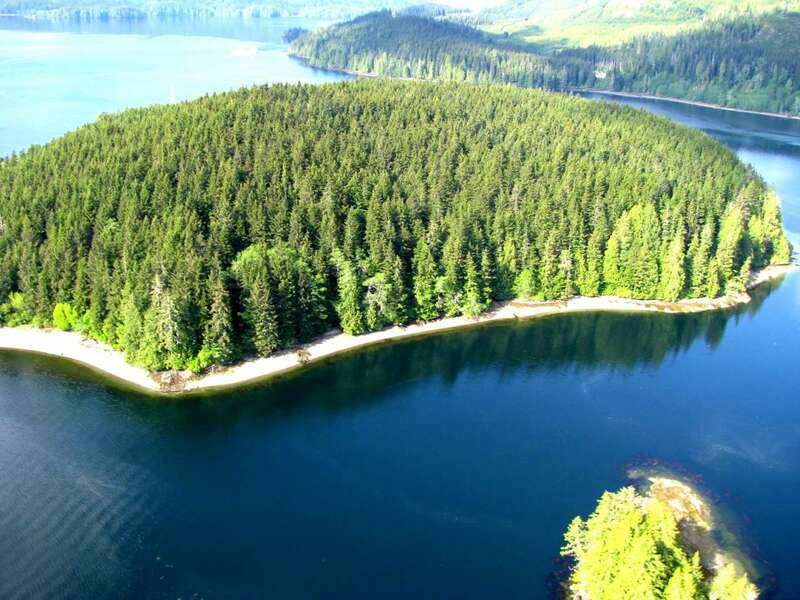 The island is also covered in 21,000 metres of marketable timber. Schloss (Schlösser) is a German word for a building similar to a Château, castle or palace. 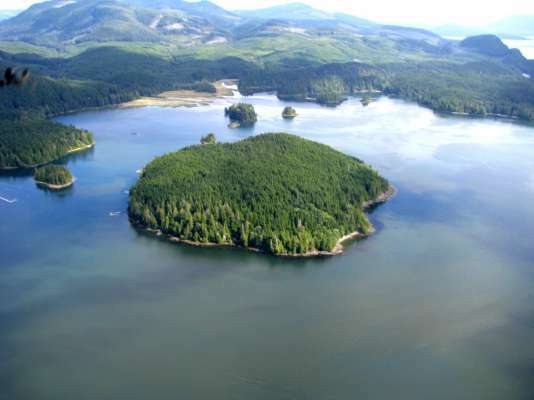 Come build your castle on your own private island in Beautiful British Columbia.